Last weekend Italy held a unsuccessful referendum in an attempt to alter their Constitution. But did you know that Italy does not necessarily need a referendum to change their Constitution? As long as the legislation to change the Constitution is passed by both Houses twice, and the second time by at least two-thirds of both Houses of their Parliament, then the change is made. No need to ask the people. This is only their third referendum to alter the 1947 Constitution and only once has the referendum been successful. So, why in this case, would at least one House of the Italian Parliament not vote in a large enough number in favour of these alterations to their Constitution? These changes would have diminished the power of the Senate. It would have meant that the Senate was reduced from 315 members to 100 and they would no longer be directly elected. You can understand why two-thirds of the Senate did not agree to this. But the people of Italy also didn’t agree. If we think about it in an Australian sense, how many Australian Senators would vote to drastically reduce their numbers and power? And how many Australians would vote for a change like this? Like us the Italian Parliament consists of two Houses. These are called the Chamber of Deputies and the Senate of the Republic. While not common around the world, in Italy and Australia both Houses have strong Upper Houses. In the Australian Constitution this is enshrined in section 53. Apart from not being able to create or amend tax bills, the Senate has equal power to the House of Representatives. However the Australian Executive only needs majority support by Members in the House of Representatives. In Italy the Prime Minister needs the support of the majority in the Senate as well as the Chamber of Deputies. Strong bicameralism was a core principle at the founding of the Italian republic….At the drafting of the new Italian Constitution in 1947, ‘the idea of a strict functional equality (including equal powers over legislation) was reaffirmed and Italy’s uniquely undifferentiated bicameral parliament was born’. The aim was to prevent the rise of another dictatorship. Personal domicile shall be inviolable. Home inspections, searches, or seizures shall not be admissible save in the cases and manners complying with measures to safeguard personal liberty. Controls and inspections for reason of public health and safety, or for economic and fiscal purposes, shall be regulated by appropriate laws. Freedom and confidentiality of correspondence and of every other form of communication is inviolable. Limitations may only be imposed by judicial decision stating the reasons and in accordance with the guarantees provided by the law. Perhaps another thing people felt they needed to be protected from was a Government that was spying on their citizens. Australia’s Constitution doesn’t include much of this kind of thing. Ours was created over a period of nearly a decade and was a peaceful way of unifying six British Colonies. Some say this is one reason why we don’t have many constitutional protections. So while the home is not inviolable in Australia, and there is a Parliamentary power to acquire property, it can only be on just terms (section 51(xxxi)). Until 1979 the Labor Party had included a section in its national platform advocating its abolition, and in 1921 the Queensland Labor government successfully abolished its Upper House. The Queensland Upper House was an appointed Legislative Council. In order to abolish it the State Labor Government had to stack the Council full of new appointed members, who ultimately voted to abolish themselves. Those appointed Legislative Councillors were called the suicide squad. There was no referendum needed for this Queensland Constitutional amendment. But what about the Federal Senate? Nearly every week on social media, our CCF articles receive some comments from people who would like to get rid of the Senate. However, perhaps this highlights how much more people need to know about the role of the Senate and the separation of powers. For an Australian referendum to pass, first the legislation must be passed by an absolute majority of each House of Parliament. This means more than half of the total number of MP’s and Senators (not just those present) need to vote for the legislation. If one House rejects the legislation for the referendum, there is a provision for the Governor-General to go ahead with the referendum (remember – the Governor-General acts on the advice of the Prime Minister). Then the electors of Australia are asked to vote upon the legislation. It only passes if a majority of voters overall and in at least four states vote yes. There isn’t a way to really amend our Constitution without going to the people. Now, just to confuse you all, there are parts of our Constitution that don’t apply anymore. They still sit there as we haven’t asked the parliament and then the people to remove them, but they are no longer in use. What caused the parts of our Constitution to become redundant was the implementation of two Acts. These being the Statute of Westminster, which we adopted in 1942 and then the Australia Act which was implemented in 1986. Both of these Acts changed the role of the Queen in our democracy. If you want to read a bit more about this, click here, as we have written an article about the Queen’s powers. Now the Parliament can’t just enact any old Act and then parts of the Constitution don’t apply. These two pieces of legislation had to become law in the UK and in regards to the Australia Act, our States had to pass it too. If the referendum held last week had passed it would have modified about a third of the Constitution – 47 Articles out of 139. Opponents to this change, including some within the Governing Party, had argued during the lead up to the vote that these changes would have given the Prime Minister too much power. The Italian people agreed. Just over 59% of those who voted rejected the changes. Only about 40% voted yes and there was only about a 70% turnout for the referendum. 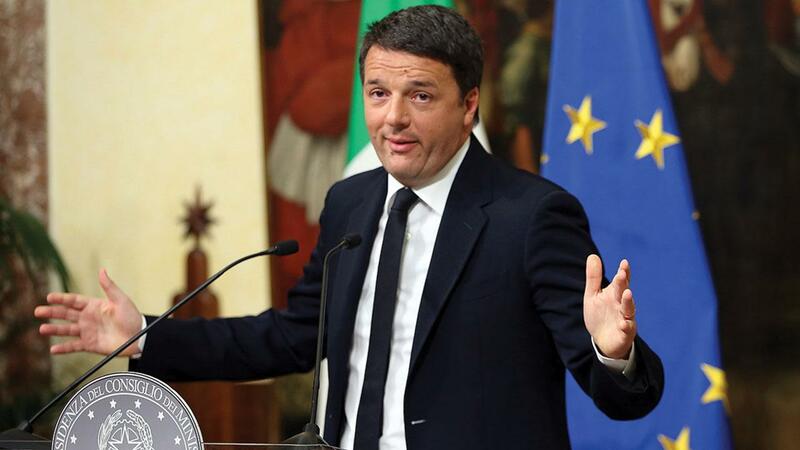 In the aftermath, the youngest Italian Prime Minister ever, who has served for 2 years and 287 days (making him the fourth longest serving PM since 1991) has quit. So while there was a failure to change the Italian Constitution last weekend, here in Australia most referendums have also failed. Out of the 44 referendums only eight have passed. Constitutions provide stability and consistency and are therefore meant to be hard to change, but no so hard that change is impossible. Referendums belong to the people and here at CEFA we are dedicated to giving them useful information, to empower a better informed voter. Let us know what you think.